This Apothecary Herbal Powder Trio is a potent pairing of three powerful herbs — Palo Santo, White Sage, and never sold before Patchouli Powder. There is nothing like this available on the market and I am so honored to offer it to you here. 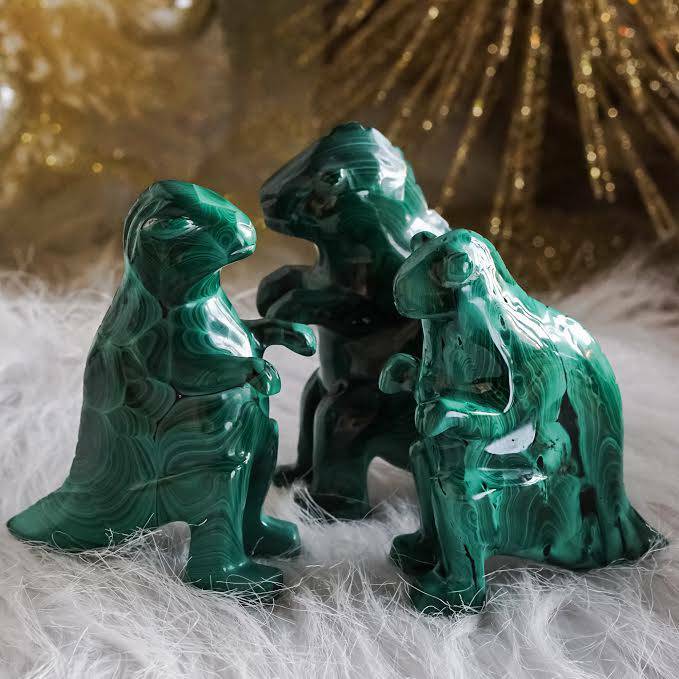 This trio is a must have for any altar and space. Clearing, manifesting, and loving, these herbs open the chakras, clears energy, and assists in bringing an abundance of what you seek. This Apothecary Herbal Powder Trio features three potent herbs — Palo Santo, White Sage, and Patchouli Powder. Palo Santo carries incredible powers of purification. Palo Santo is a sacred wood from Peru that has been used as indigenous medicine by shaman and medicine people of South America for hundreds, if not thousands, of years. The scent of palo santo is very different from that of white sage. It’s sweeter, rounder, and more mellow, and it’s known to clear out energies of illness. Elders have burned white sage for centuries in order to clear and consecrate their space. The smoke of ceremonial white sage, in particular, is said to draw positive spirits and discourage the presence of any unwanted energy. 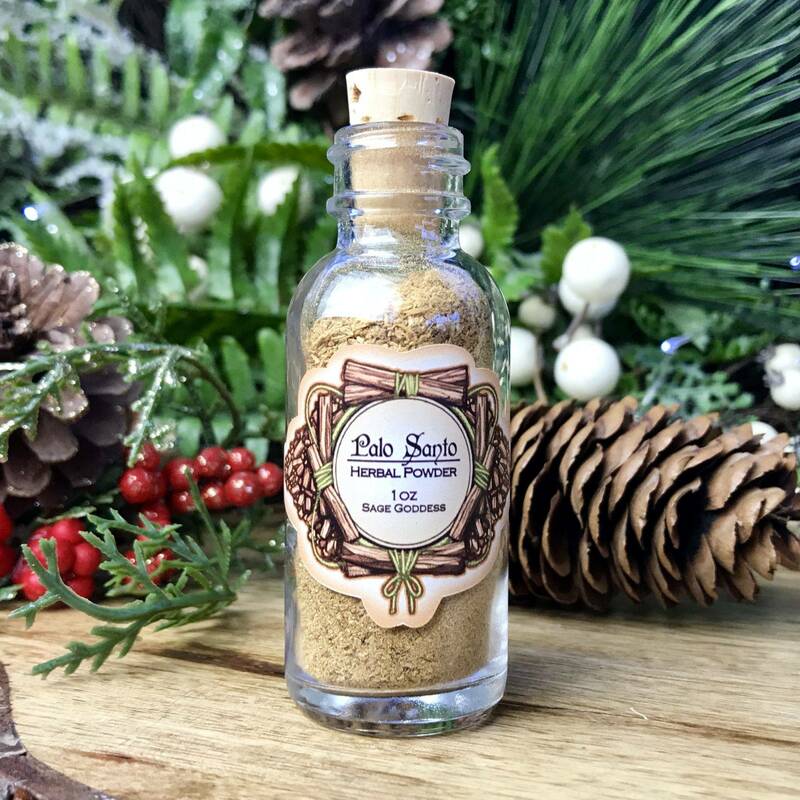 Burn your patchouli when you are feeling sad or lost, and you will immediately feel the uplifting, connective quality of this special powder. 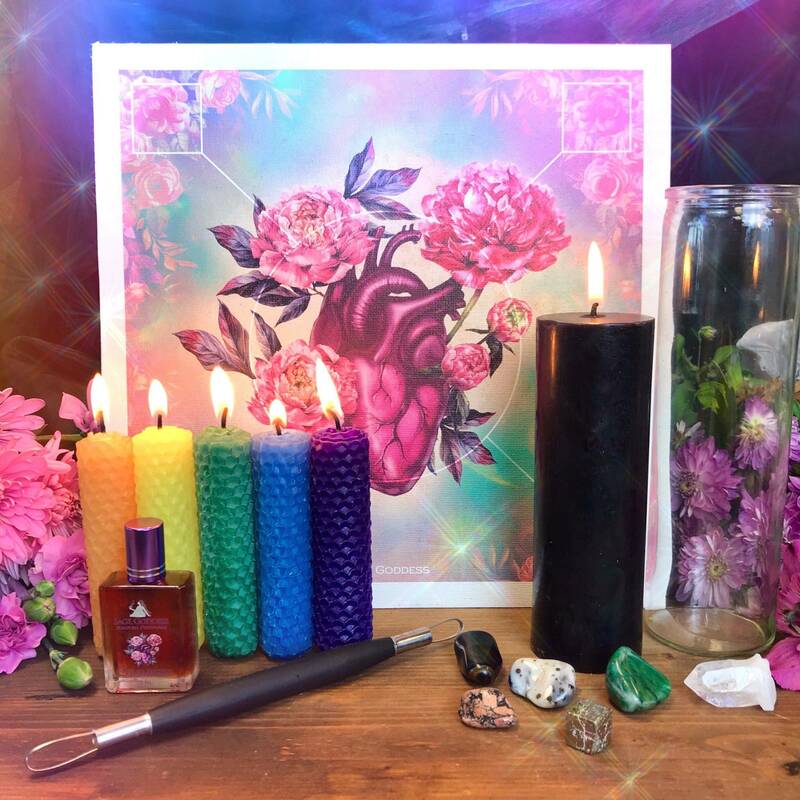 The essence of patchouli digs in deep: it helps to break long-held patterns of shame and low self-worth, inspiring balanced introspection, real self-love, and potent manifestation magic. There are so many ways to work with this Apothecary Herbal Powder Trio. Add it to other herbs to burn, or sprinkle some on your body to cleanse your aura and surround yourself in this trio’s intoxicating scent. 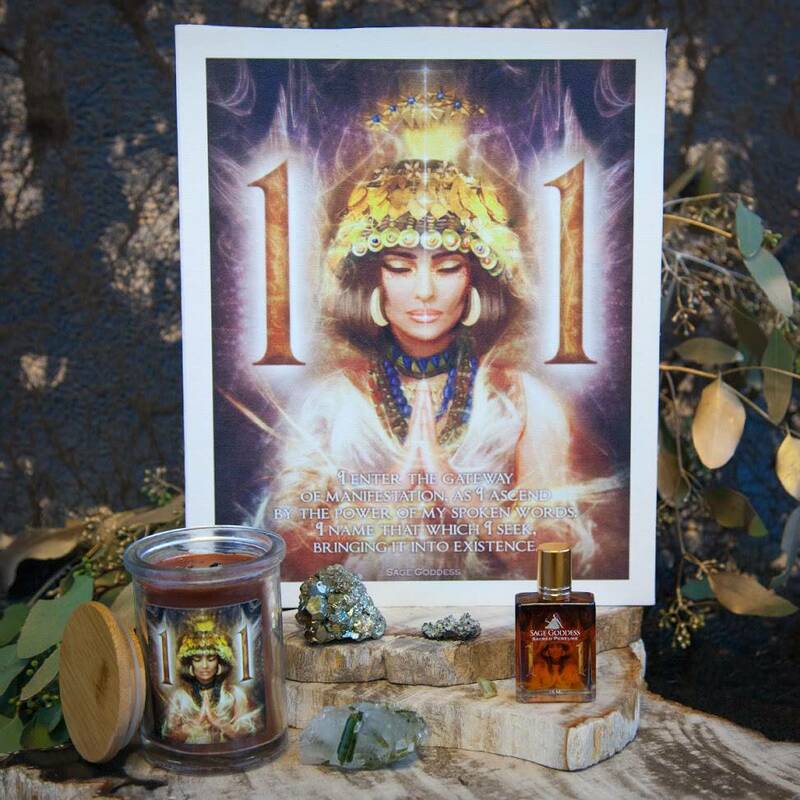 You may also sprinkle some in your candles, or around your altar as an offering to Spirit. 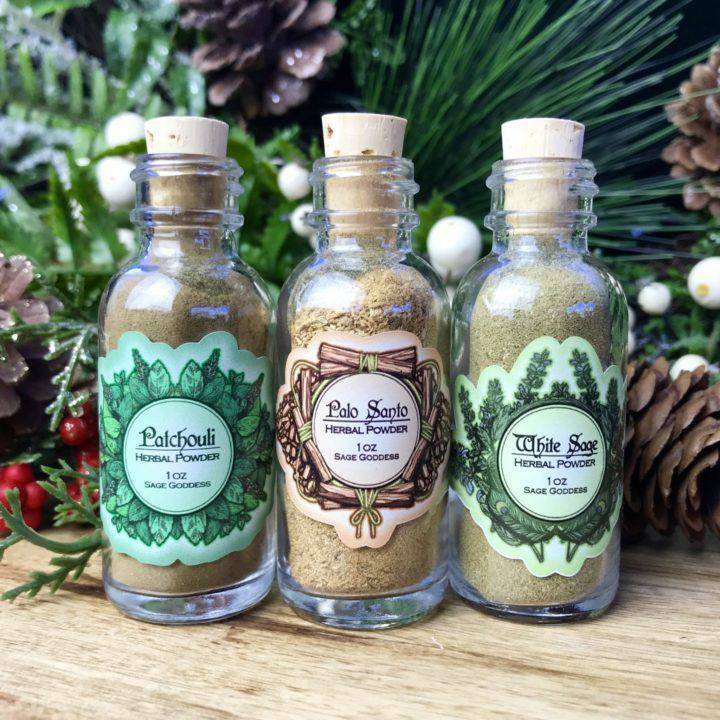 This Apothecary Herbal Powder Trio is true old-school magic and is such a great tool to have in your library of herbs! This listing is for one (1) Apothecary Herbal Powder Trio, which comes with one (1) 1 oz bottle of Patchouli Herbal Powder, one (1) 1 oz bottle of Palo Santo Herbal Powder, and one (1) 1 oz bottle of White Sage Herbal Powder. 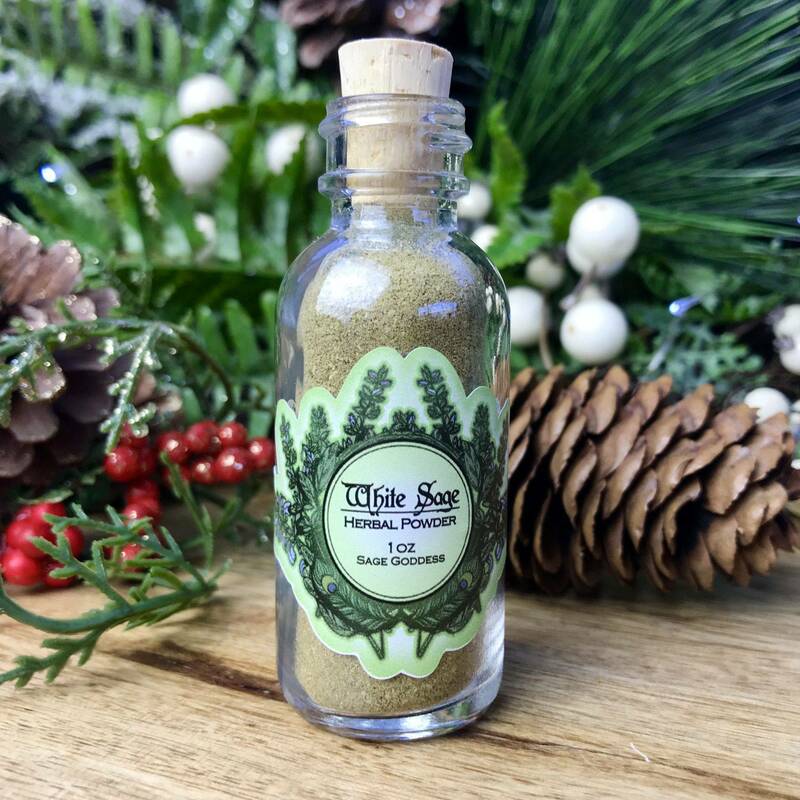 You also have the option of receiving one (1) 1 oz bottle of Palo Santo Herbal Powder only or one (1) 1 oz bottle of White Sage Herbal Powder only. Please choose the offering that calls to you from the drop-down menu. Yours will arrive lovingly parceled, ready for your enjoyment. Beautiful product. Exactly as pictured.